Arlington’s Phil Leotsakos goes airbone for Connecticut College against an opponent. He had 12 points and 13 rebounds in a 79-70 win over Fisher College Jan. 9. 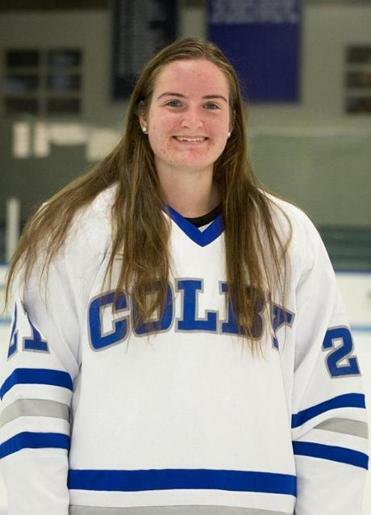 The sophomore center on the Colby (4-6-3) women’s hockey team netted her first goal of the season in a 1-0 win over University of New England Jan. 9 and had her third assist of the year in a 1-1 tie with Williams on Jan. 12. 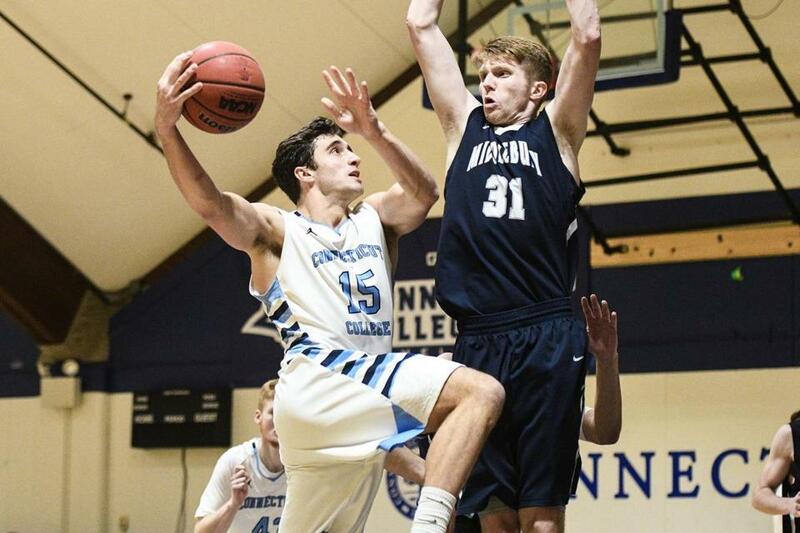 The 6-foot-5 junior forward recorded a double double with 12 points and 13 rebounds to help Connecticut College (6-10) defeat Fisher College, 79-70, on Jan. 9. 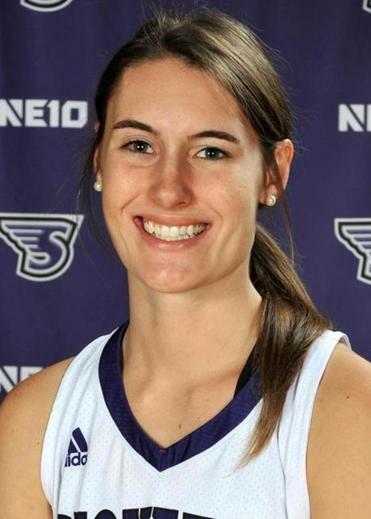 The junior basketball forward logged her first double double with 16 points, 10 rebounds, and four blocked shots to help Stonehill (13-2) down The College of Saint Rose, 76-63, on Jan. 10.